There is something to be said about a baby in a fuzzy bear hat. I don’t know what it is exactly, but something about it is THE MOST ADORABLE thing! I mean, Can you even handle how stinkin’ adorable!?! Baby Madison was so amazing for her session. I collaborated with the fabulous Art By Ashley Photography, another local Greensboro Newborn Photographer, on this session so that we could have some fun and perfect some poses. Madison fell asleep almost instantly after I swaddled her. She loved being all cozy and warm! I love starting my sessions out with the “potato sack” pose. It is not only adorable, but since the babies are swaddled, they usually fall into a nice deep sleep so we can continue with the session. The fun thing about collaborating with another newborn photographer is that they know all the “tricks” of the trade! There are so many little tiny details that go into posing newborns, so working with someone who was doing exactly what I was thinking was pretty amazing! Especially when, for a couple brief minutes, Madison preferred being awake. Ashley and I would take turns brushing our hands softly over her eyes and nose so she would close her eyes for just a second while one of us grabbed the shot. Ashley’s Lavender Red Owl wrap and my wool layering piece from Ababa Baby! Just when you thought that fuzzy bear hats couldnt get any cuter, I give you, vintage lace baby bear hat! Melissa contacted me in January to inquire about booking a session. Melissa and her beautiful family live in Indiana, but would be traveling to the Phoenix area in the spring and wanted to get some family photos while they were in town. They wanted what all of my Local Clients didn’t, a gorgeous desert backdrop! It’s so funny how when we are surrounded by lush green, the desert seems so open and beautiful! On the contrary, when we are surrounded by brown dirt, all you want to see is some big, gorgeous trees! I was happy to oblige her desert request! We decided to head out to the White Tank Mountain area, and I’m glad we did! It was one of my favorite locations in the area. The day of their session was Perfect! March in the desert is prime time for beautiful flowers! Everything is alive and blooming after a very short and mild winter. The Dulin Family couldn’t have chosen a better time to visit! If they had come a few weeks later, the weather would have heated up significantly! We had an amazing time doing a little bit of hiking and taking in the beautiful scenery around us. Their daughter wasn’t too interested in photos after the first 15 minutes, which is pretty typical for little ones. I wanted to distract her from the actual camera so we played, sang songs, and gave her a few snacks. My tricks definitely worked, because we were able to capture some amazing images of her! I loved the bright colors they chose for their session. They were perfect for spring! Florals are such a hot trend right now, and Melissa looked absolutely gorgeous in her dress! I loved that she paired her patterned dress with two different solids for her husband and daughter to wear. Kernersville Photographer – The Studio. One of the things I was saddest about moving here to Greensboro, was that I was going to be losing my beautiful studio space! We had moved into our last house with my studio in mind and I loved it! It had the perfect amount of space for my sessions, as well as a nice sitting area for clients. It helped define the shooting area and allowed parents to sit back and relax. The old studio is definitely missed, but I am excited for the new space and how it is coming together! I am currently in living in a space where we cant make many changes (new flooring for example), but I was able to convert the formal living room into a studio space. Creating a pretty and functional space can be quite the challenge! Especially when you have an abundance of props! It was a “challenge” accepted moment, and so far, I’m happy with the results! As my business starts to grow here, I’m sure I will be making changes, but for now, I’m loving how my little space is turning out! I love flokati rugs! They give great texture to photos and make the subject pop! A couple of my favorite props are up on this shelf, which one is your favorite? I think this reclaimed wood ladder is my favorite piece in the studio! I am a slightly obsessed with wraps. 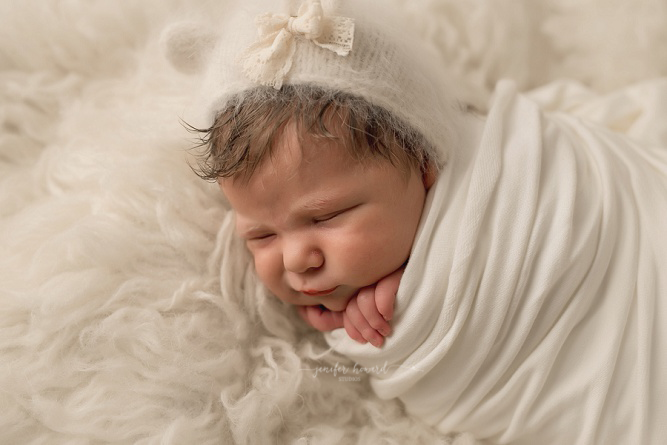 Newborns LOVE to be swaddled, so why not let them while being wrapped in different textures and fabrics! My space is small, so to save on room, I opted out of the standard newborn posing bean bag and created this perfect sized posing table! It folds up nice and neat to allow for easy clean up and movability during the session. All of my bonnets are made with extra soft yarn, so your baby is comfortable! I also have a collection of newborn outfits that are made to fit all the tiny features of newborn babies. You will have access to my tieback collection. I have found that simple tiebacks with small bows or flowers allow the focus to remain on baby! My fabric collection is always growing. I love getting different colors and textures for all those sweet bean bag poses! Greensboro NC Baby Photography – I love being able to capture the miracle of a growing belly to a newborn baby. It is so crazy to imagine how much babies grow and develop during those 9 months! Whitney contacted me during her 2nd trimester for maternity and newborn photos. This was her 3rd baby, and her first boy! She somehow kept that they were expecting a boy a surprise from everyone! Look how precious baby Lukas looks all bundled up and holding his Daddy’s wings! I love being able to incorporate special and meaningful items into newborn sessions, even if its something small. Whether it be wings, wedding rings, a special hat or quilt, they make the image and will make you cherish the photo even more in 50 years. Here are some more of my favorite images from Lukas’s session. 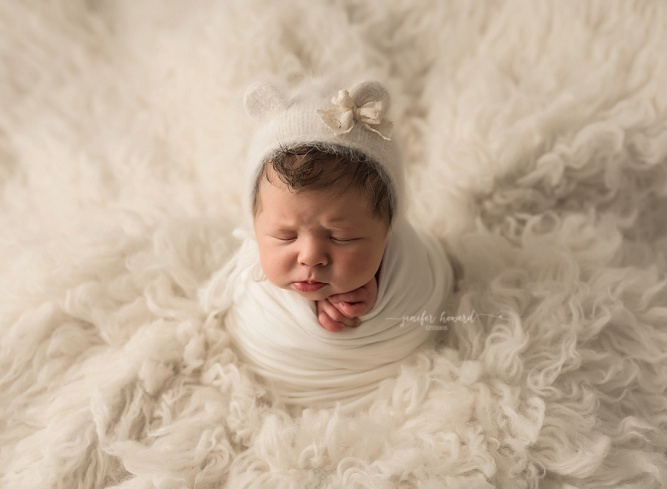 Stokesdale Newborn Photographer – Pipers session was a referral from another photographer who didnt want to take on a newborn session so close to her due date. It was so amazing to have such an amazing network of fellow photographers in my old area! We could rely on each other to pass on sessions when we were sick, or borrow a prop that we just couldn’t get in on time, and sometimes just hang out and chat about business and life. I’m hoping to be able to start that amazing #communityovercompetition trend here in the Greensboro area with other local photographer moms! Back to the baby, Meet Piper! She was absolutely gorgeous! I fell in love with her the second I pulled back her carseat cover! She had the sweetest cheeks and the most beautiful hair! I asked her mom and dad if they were surprised that she had lots of hair, and dad came back with, “why, because I dont have any?”! I knew it would be a great session from there! 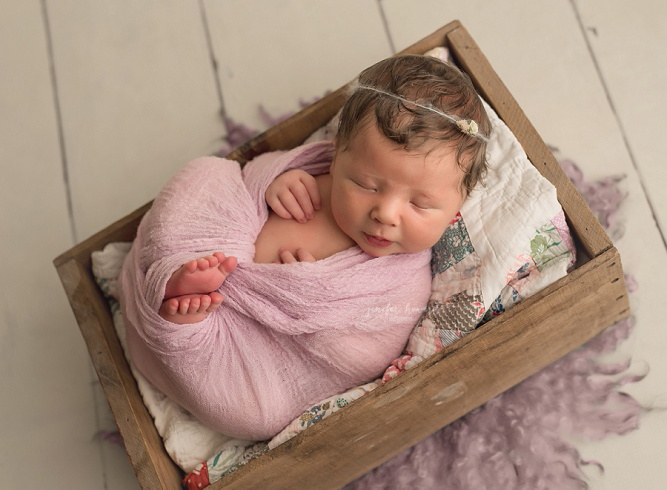 We were set up for a Petite Newborn Session, so we started off with baby in a box. I love this simple set because you can do so many things with it! I had casually set aside my kitty hat and stuffy and after the first round of photos, I asked them if they hated cats. They looked at me kind of funny, and said no, that they LOVED them! So, I showed them the hat. Her mom fell in love! It was the first time I was able to use that set, because I dont get too many cat fans in the studio! Piper made the most adorable little kitten! Her session was amazing and I loved getting so many different images for her mom and dad to choose from with just one set. @2016 Greensboro NC, Winston-Salem NC and Triad Newborn & Baby Photographer|ProPhoto Blogsite | Designed by That's Kinda Cool!